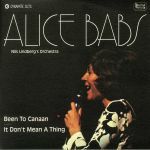 Review: During the days of Dingwalls' legendary jazz-dance and rare groove nights in the 1980s, it wasn't uncommon to hear Nancy Ames "Caracara" surging from the speakers. 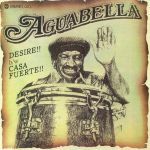 An infectious Latin Jazz/Easy Listening floor-filler first released on the American singer's 1966 album Latin Pulse, it has long been something of a favourite amongst both DJs and dancers. 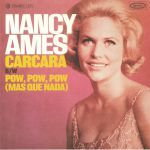 Here, it gets the reissue treatment on 7" from the cool cats at Dynamite Cuts, backed with 1967 gem "Pow, Pow, Pow", a killer, bi-lingual cover of Sergio Mendes' favourite "Mas Que Nada". This, too, is simply superb. Review: For their latest on-point reissue, the Dynamite Cuts crew has raided the bulging back catalogue of soul organist Reuben Wilson. Or, to be more specific, the Cadet-released 1975 set "Got To Get Your Own". Sadly, there's not enough space for the full version of the album's celebrated title track, so Dynamite Cuts has prompted for the no less essential seven-inch edit instead. 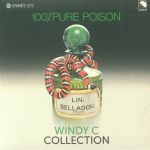 It remains a stone cold killer that no soul or funk DJ should be without, even in its shortened form. The lesser-known "Tight Money" is no less essential - or heavy, for that matter - with Wilson and pals strutting through a heavyweight Blaxploitation funk cut whose lyrics riff on poverty and Black America's mid-'70s financial crisis.